Yosemite’s Scenic Wonders is a Vacation Rental management company proud to be celebrating our 30th Anniversary. 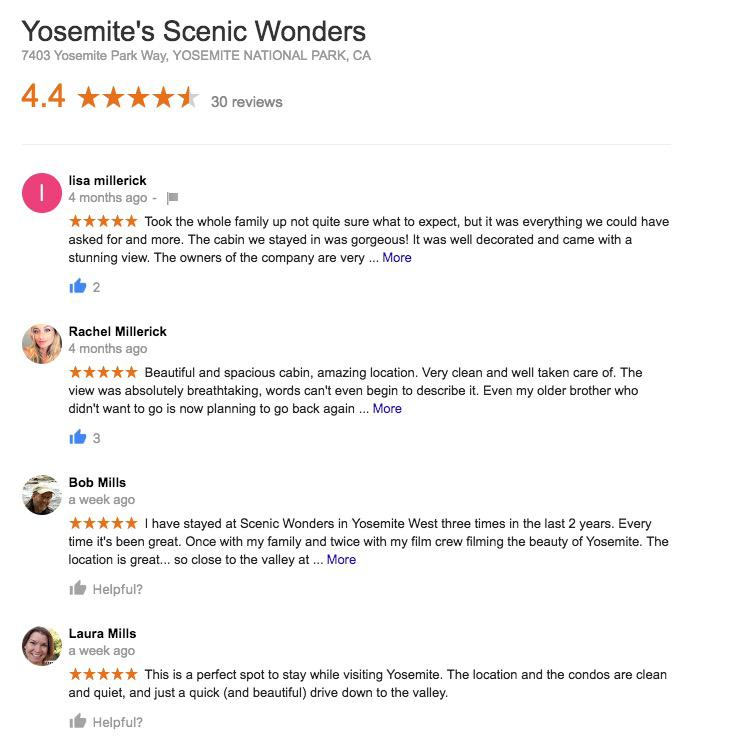 At Scenic Wonders our commitment for caring for our guests, community, and the unique environment in which we operate, is reflected in our 5 star reviews, and our recent Trip Advisor Hall of Fame award, a special recognition for being voted #1 for 5 straight years in Specialty Lodging for Yosemite National Park. With an onsite crew of over 42 dedicated employees, we are extremely proud of this award. Yosemite’s Scenic Wonders has over 115 properties to choose from, offering its guests three different locations that are each unique to the Park. Each location offers a great starting point for adventuring in and around Yosemite’s High Sierras. For an adventure of a lifetime and for those precious memories, check Yosemite National Park off your bucket list, and come stay with Yosemite’s Scenic Wonders!